Running with one’s dog is generally discouraged in area races, but this is one event where it is encouraged. When last held in 2017, a record field of 110 runners completed the 5K cross-county run while others did the 2-mile dog walk. Mark Farnsworth led all finishers in 21:28. Kristen Henson led the women in 21:56. After staging the race at the NC State Faculty Club for many years, the event will be held at the NC Museum of Art located at 2110 Blue Ridge Road. The race will take place on the greenway trails at the Museum. The 5K starts at 2 pm. The 2-Mile Dog Walk begins 10 minutes later. Dogs can also participate in the 5K. 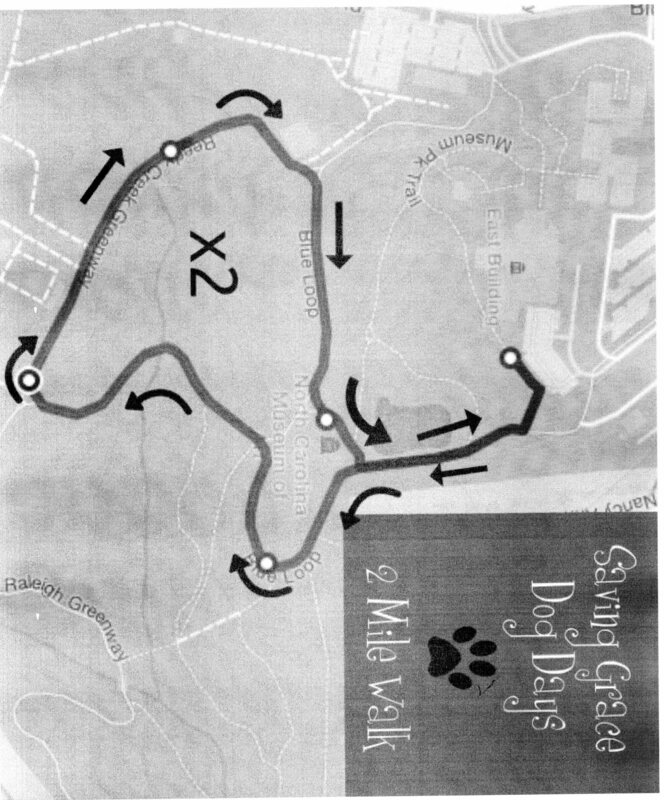 The entry fees are $50 for the 5K and $30 for the 2-Mile Dog Walk. If one wishes to participate wth their own dog, there is an additonal fee of $5. Because of the narrow tralls at the Art Museum, there is a limit of 250 in the 5K and 400 in the walk. 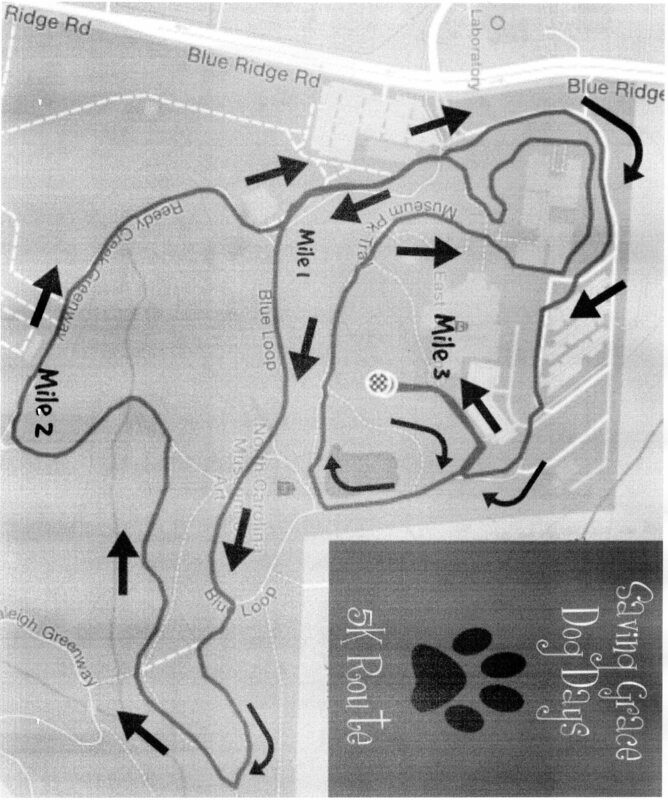 Click here to download a 5K course map. Click here to download the 2-Mile Walk map. On race day, registraion for the 5K will be closed, and the entry fee for the walk will be $50, assuming the 400-limit for the walk have not yet been reached. T-shirts are included with the entry fee with sizes guaranteed to those registered NLT March 11. After that date, it will be "as available." Late walk entrants can register and all pre-registered entrants can pick up their packets on Saturday, April 6 at Fleet Feet on Wade Avenue from 1-4 pm OR late walk entrants can also register and all pre-registered entrants can pick up their packets beginning at 1:00 pm on race day. This assumes, once again that the 400-limit fo the walk has not yet been reached. In the 5K run the first male overall, the first female overall, the top male and female under 18, and the top male and female veterinary students will receive awards. For any questions or additional information, please contact us via email at merunkle@ncsu.edu.